My brother Eric (to his mother)/Ric (to us) left in 1959. We didn’t see him again. In 2006 I learned that he had died in 1972, and that I had been about one mile away from where he died. It was the Saturday after Thanksgiving, which I spent with Lisa Lee and her parents on Fulton Street, San Francisco. My sister and I – mostly I – inherited Ric’s toys when he left. He was seven years older than me and so the toys were of the 1940s and early 1950s. 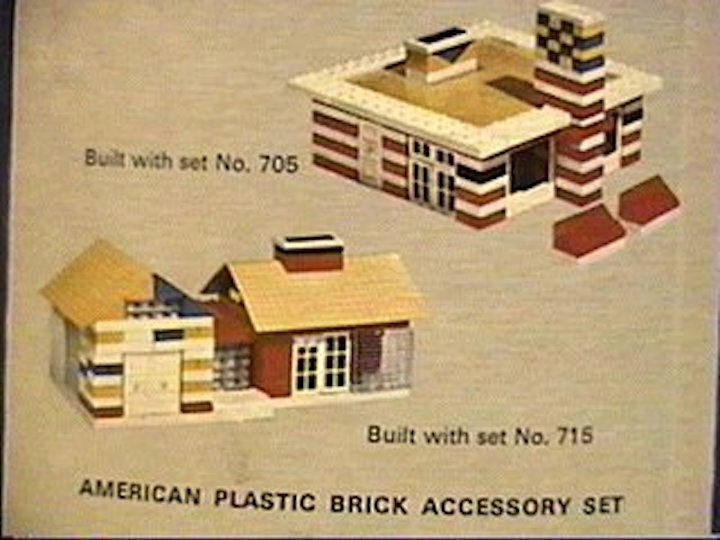 Among the toys were a couple sets of building bricks from American Plastic Bricks. 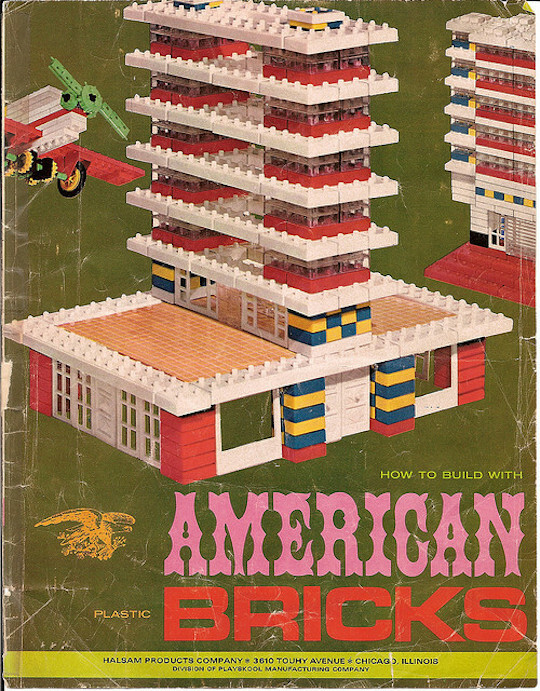 There was an emphasis in building in boys toys then – he left the bricks plus Lincoln Logs plus an Erector Set. 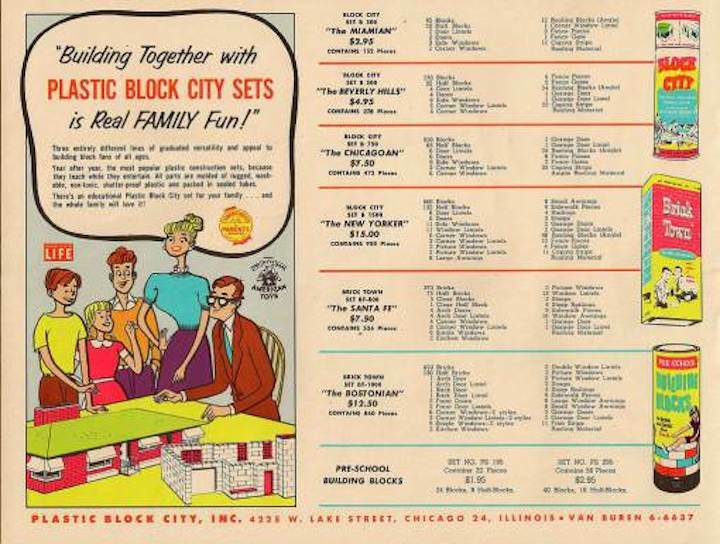 I never really got into the Erector Set but the bricks and Lincoln Logs – I was all over them. 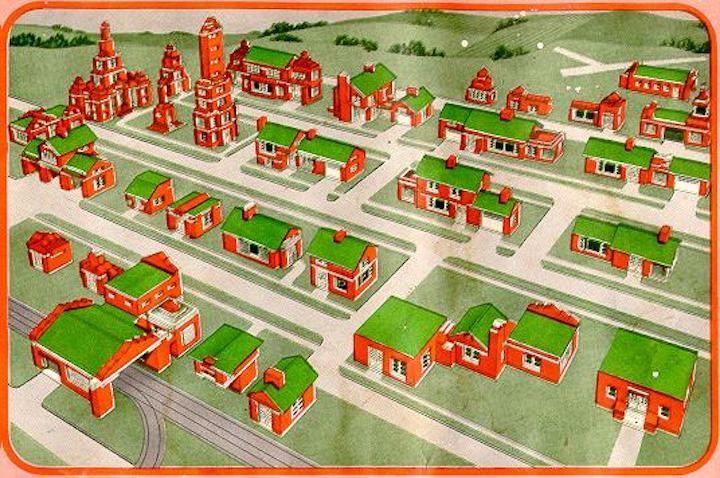 As I have confessed elsewhere, I was partial to the grids that one could build with Girders and Panels, but the bricks were pretty cool too. 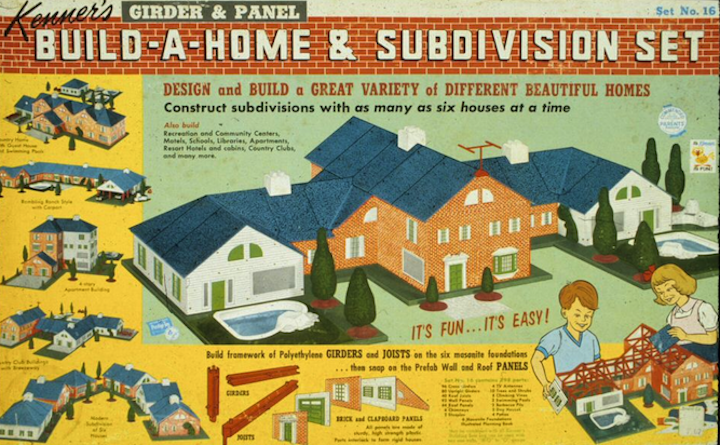 Girders and Panels came along about when Ric left, and they were not hand-me-downs like the Lincoln Logs and bricks. 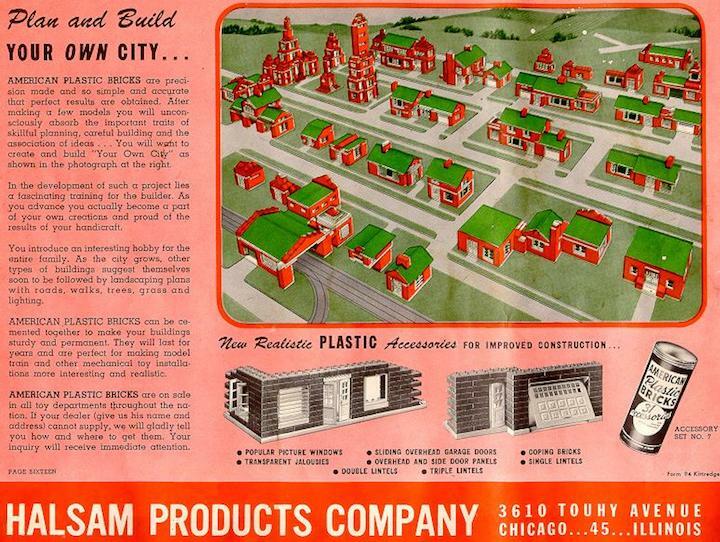 I loved the Girder and Panels office building and airport sets, and especially the Build-A-Home set. 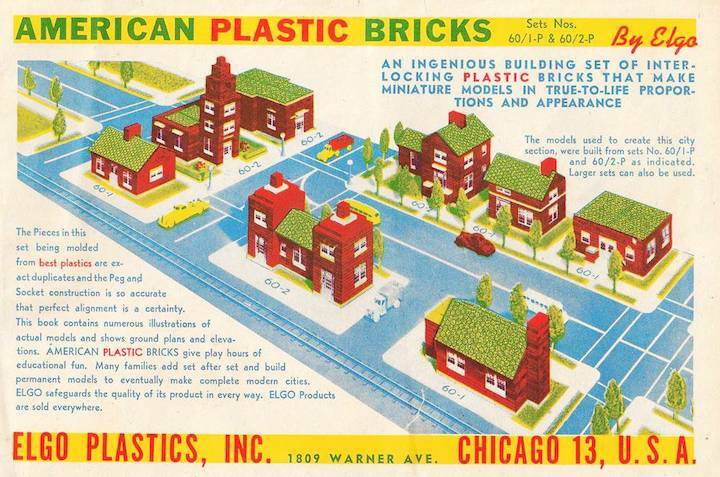 Playing with the bricks, I was always conscious that these were Ric’s bricks. That added to their value to me. I made houses with wrap-around-corner windows. Very mid-century. My friend looked the brochures in these photos over. 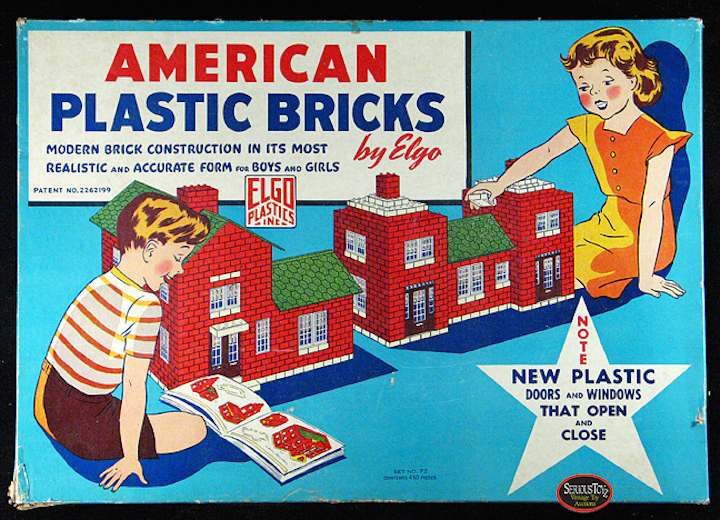 He was struck by the anagram relationship between ELGO and LEGO. 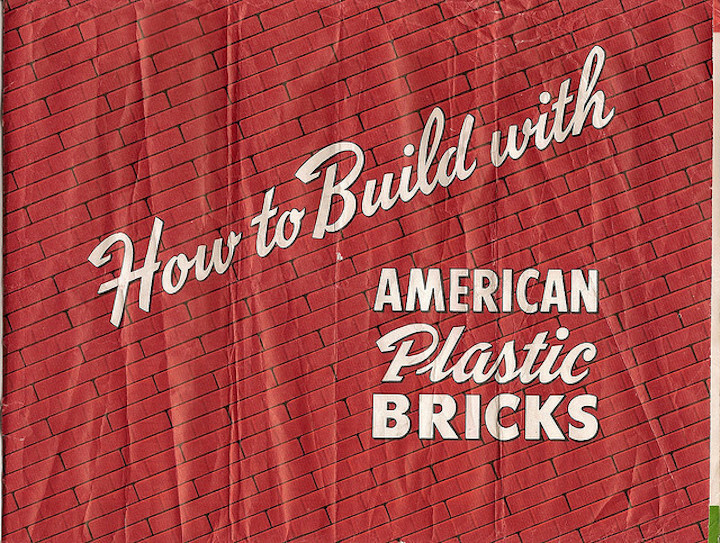 Pure coincidence, although LEGO may have greased the skids for their entry into the American market with a payment to ELGO. 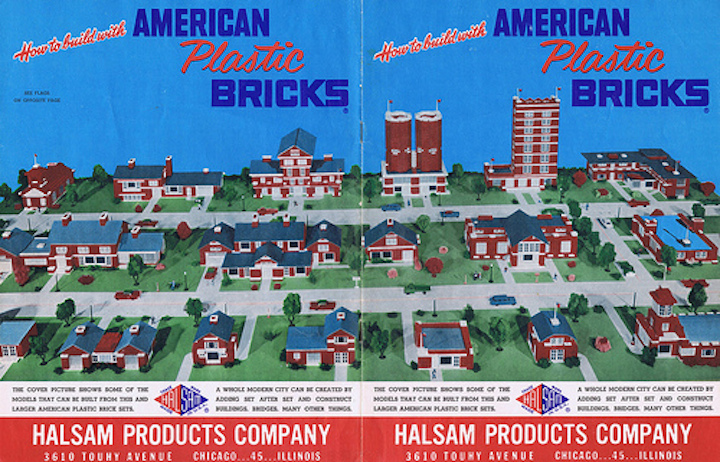 American Plastic Bricks were created about the Halsam company, which was formed by two brothers-in-law (Hal Elliott and Sam Goss). They put their first names together to form the company name. Up until the early 1940’s, the Halsam Company was known for its wooden checkers, dominoes and alphabet blocks. 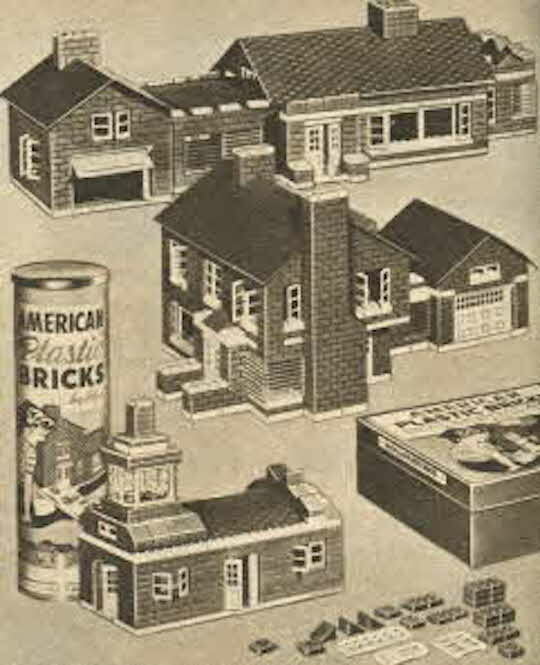 The patent papers for the brick sets are dated June 6, 1939 and were approved in 1941. Elliott and Goss took their last names to make ELGO. 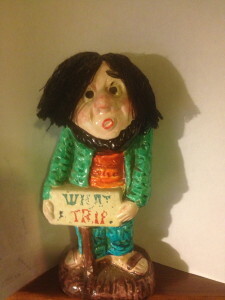 Leaving the ELGO/LEGO issue aside, what did he think of my little trip down brick memory lane?